"[This is] not just the poetry of a victim or a flag-waving victor: It is the voice of a battle-scarred survivor with all the torment and fear and rage that goes with being human." 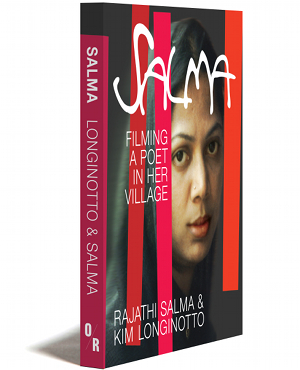 In this book the Indian poet Salma and filmmaker Kim Longinotto come together to portray Salma’s extraordinary life and the challenges of capturing it in a documentary film. When Salma, a young Muslim girl growing up in a South Indian village, was 13 years old, her family shut her away for eight years, forbidding her to study and forcing her into marriage. After her wedding her husband insisted she stay indoors. Salma was unable to venture outside for nearly two and a half decades. During that time, words became her salvation. She began covertly composing poems on scraps of paper, and, through an intricate system, smuggled them to the outside world. The poems, many of which are included here, describe the hardships Salma and countless women like her suffer in their secluded lives. Eventually they reached a local publisher who printed them. Against all odds, and in a direct challenge to the stultifying traditions of her village, Salma has gone on to become a renowned Tamil poet and influential human rights activist. For more information about Longinotto’s film, please visit Women Make Movies. Rajathi Salma was born in a small village in Tamil Nadu, India. Cut off from the outside world as a virtual prisoner in, first, her parents’ and then husband’s homes, Salma began to write poetry. This was eventually published in two volumes, An Evening and Another Evening (2000) and Green Angel (2003), both of which received wide critical acclaim. 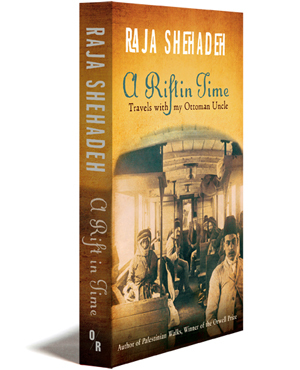 She has also written a novel, The Hours Past Midnight (2004), which was long-listed for the Man Asian Literary Prize. After about three weeks with us in Chennai, Salma was ready to go back to her village. We went on an overnight train in a sleeping compartment that we shared with a man who snored loudly all night. The train moves very slowly through the dark, stopping at lots of small villages along the way. The 350 kilometer journey took over eight hours. A family friend of Salma’s picked us up at the station and drove us to the village. The sun was coming up over the flooded land as we passed people working in the fields at sunrise. At first sight, the village appears to be extraordinarily beautiful. It’s a small community with narrow, busy streets and brightly coloured houses. We couldn’t help but notice all the barred windows. They were everywhere and you knew that there were women standing behind them, looking out. Often they were at ground level and you couldn’t see in, but you could still sense a watchfulness, a presence there in the dark. There’s a bit in the film where Salma is talking to her aunt and her aunt points to a tiny window and says, “There’s someone looking at us from there, and over there too,” and you realize how brave she’s being in talking to us and showing her face. Her every move in the village is being observed. We stayed in the house belonging to Salma and her husband Malik. They have a spacious, airy flat with tiled floors and lots of light. I shared a bed with Sara in Malik’s room and Salma and Salmyuktha slept in the bed in Salma’s room. Malik slept on the floor in the main room by the front door. Unexpectedly, I grew fond of Malik while we were there. He was really very welcoming and kind to us. He would often buy us food for lunch and would get the Hindu newspaper for me every day, because he knew I liked to read it. It helped that Salma’s family wasn’t hostile to the film. Her father seemed largely uninterested in what we were doing and her mother was actively enthusiastic. She seemed very proud of her daughter and of her own role in getting the poems safely out of Malik’s house. Salma would write them down on small scraps of paper and hide them in her saris, which would then get sent out to her mother’s house for washing. Salma’s mother would retrieve the pages, put them in an envelope, and then give them to Salma’s father to post. Salma’s mother knows that she has done something absolutely unique. She has defied the village and survived.